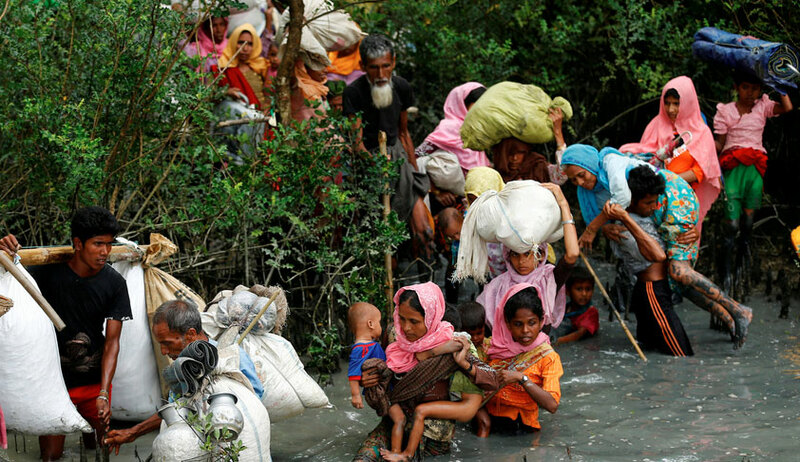 A bench headed by Chief Justice Dipak Misra today posted all petitions relating to deportation of Muslim Rohingya refugees for detailed hearing on January 31. Before adjourning the matter, the Chief Justice asked advocate Prashant Bhushan who is appearing for main petitioners challenging the deportation "what the status was?" Bhushan replied: "The government may not be taking steps to push them(Rohingyas) them back as of now. But they are conducting some surveys". The bench had on October 13 just stopped short of staying the deportation of Rohingya refugees till it decided the petitions challenging the action but asked the Centre to strike a balance between national security and human rights of the refugees. Meanwhile, senior lawyer, the legendary Fali S Nariman arguing for the Rohingya community pointed out the Protection of Human Rights Act defines human rights to include not merely fundamental rights or rights under the Indian law but human rights arising out of international conventions to which India is a party. Nariuman observed that the government can’t speak in two voices – one in the UN and international fora and another totally opposite in India and before this court. The Court further observed that this is an important issue which needs to be heard at length and therefore fixed the matter for a detailed hearing on the 21st of November.